We're glad you're here. The notes below are to help you find your way around. Jaye Martin Ministries is a nonprofit ministry with the mission to equip leaders to share Christ and mobilize believers through resources, training and partnerships. On our home page, you will note that each photo header is a link to something important so click here to take you to these areas with more information. To see more of what we're about, see our About Us page here. 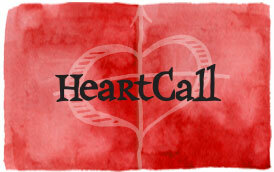 Under the JMM, HeartCall and Gifted2Go icons, you will see twelve, small drawings. These are links to help you navigate the site quickly. Quick idea on how to share Christ this week. Resources you can purchase. If you want to see a description list of our resources, check out our Resources page. Subscribe to our newsletter with this icon. 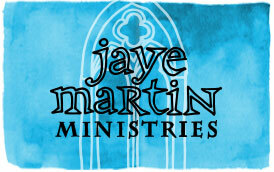 You can see Jaye Martin Ministries in other news here. Give to help equip leaders. Leadership training types are explained and links to request forms provided. Gifted2Go Puzzle: Where Do I Fit In? spiritual gifts inventory. Find HeartCall and Gifted2Go Leaders of Leaders (our trainers) by using the map. Videos can be found on our Vimeo page here. Looking for something? Find Hope in Christ! Resources for creative parties and intentional gatherings. 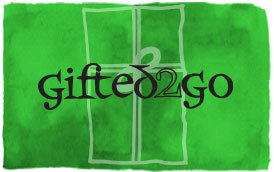 Use HeartCall to train girls in sharing Christ and Gifted2Go for understanding spiritual gifts. If you want to connect with us, then see our Contact page or find us on Twitter, Facebook and LinkedIn. If you are looking for free resources, then click here!